Dance floor, tanning bed, pool, car, greenhouse!?!? When I was little, Teh Parents stressed saving money. So, on each birthday, I would put some money in my savings account, and I could keep some of it. Teh Mom said the savings account was for when I was older and I needed to buy something like a car. A car, hrm. Well, at 7 years old, I didn't care about a car. 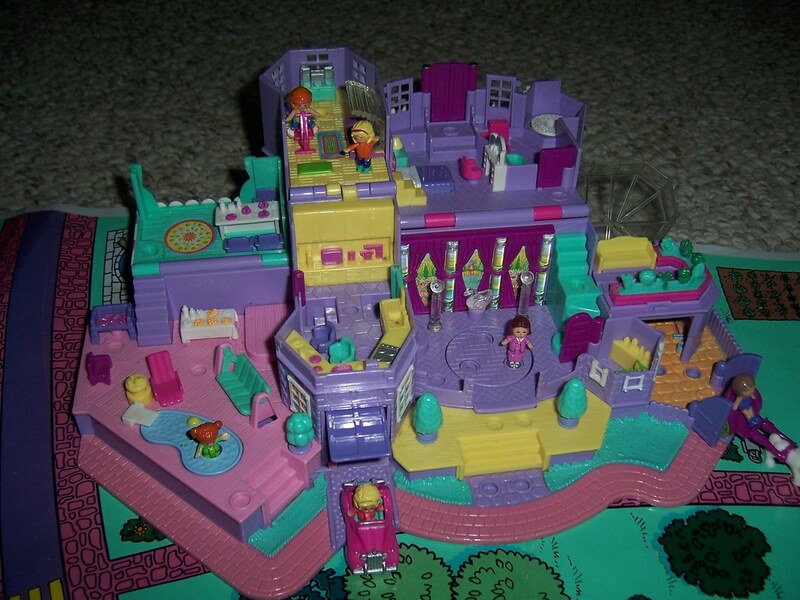 I cared about a $30 Polly Pocket mansion. I didn't have $30 though, I had like $10. But, Teh Mom said, we'll just put it on layaway and then you can just pay little bits on it when you get money. I didn't like this idea. I wanted it NOW, like a dutiful 7 year old. Since I'm not Teh Sister, so I didn't get my way and to layaway the mansion went. I was crushed. I had even promised to play with this thing every day. It wasn't going to be one of those, yay toy! then the next day, oh who cares toy. Eventually, I finally paid off the mansion, with a little help from Teh Parents. I played with that thing all the time. It was like the Polly Pocket party house. 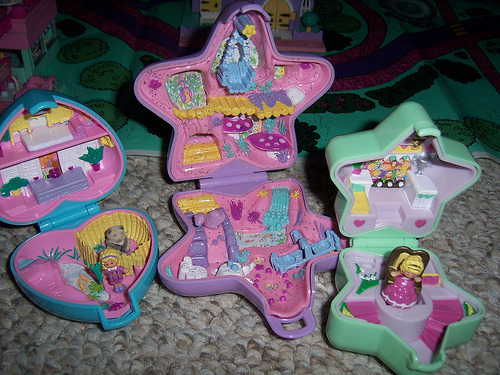 I'd set up my other Polly Pockets around the house like a neighborhood, and everyone would come swim and dance and be awesome at the mansion. Eventually, I did stop playing with it, and I have no idea what happened to it. I have a feeling it got donated or sold, because I do remember thinking, "but I paid $30 for that thing!" Flash forward, I am an adult. I got a real job. I can now afford to save money. Its mostly delightful, except for when it comes time to spend said saved money (hello, new car with no clever name, furniture, and real life). But, I've also realized, I often engage in retail therapy. When I get upset, I buy things. Which means, the internet is the devil and an enabler. Arriving in my first overseas duty station? new camera. Another year not home for Christmas? new camera lens. Godfather died? Oldnavy.com. Arriving in a middle eastern country? new bed set(s). Teh Bear leaving Bahrain? City Center Mall w/ Shoulda Been a Cowgirl and Teh HP Wizard for dress shopping.. 2 days in a row (ouch). I can haz money tree plskthx? I keep telling myself that I'm leaving Bahrain soon, so I should stop spending money, but it seems mostly impossible. People keep leaving Bahrain which means nice dinners out. Although, I'm certain I've filled my dress quota for the year for these events (but all the new dresses I've bought are sooo cute!). The money I'm saving hasn't changed, so that's a good thing in the midst of this money storm. I am excited about new things when I get to MD, like the new car and the new furniture. All my own, like a real big girl adult. And eventually, I should definitely get over this retail therapy thing. Especially because, I have such regret after I spend the money. Its a very nasty cycle. And its only ok when I still have receipts and can return things... Still, should stop. Anyone know any good solutions?